In this article you will find a little bit about the Toyota Camry history, then a short but accurate review and then I'll tell you where (state, dealer and contact info) to find or buy the cheapest 2012 Toyota Camry's for sale in USA. Toyota Headquarters. Located in Toyota, Aichi, Japan. 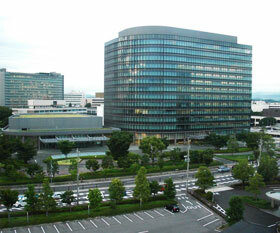 The headquarters of Toyota is located in Toyota, Aichi, Japan. It was founded in 1933 by Kiichiro Toyoda. Toyota became in 2007 the first global car manufacturer ahead of General Motors, and it was speculated that in 2008 there would be a production and sales of approximately 9.8 million vehicles along with increased sales. These predictions have come true, although the number of reviews and quality problems have also increased. However, this leadership lasted until 2011, when there was a strong industrial recession in Japan, as a result of the earthquake happened on 11 March this year and among others hit the town of Fukushima. Because of this, Toyota slipped to third place, giving the leadership to General Motors and Volkswagen which came second. Toyota Camry 1982. 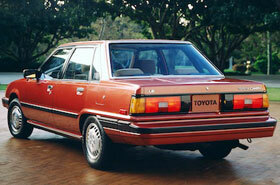 This is the first Camry that arrived to America in 1982 known as the Toyota V20. Its name comes from Camry which is the phonetic transcription into English from the Japanese word that means Kanmuri Crown. All generations of the Camry, except the first, were sold as Lexus ES, the second and third as Holden Apollo, and the last three as Daihatsu Altis (in Japan). The first model of the Toyota Camry came to the United States in 1982 under the name of V20. Since 1997 it has been the best-selling car. Its platform is so successful that was taken as an example to develop many new models like the Toyota Highlander, Lexus RX, Toyota Sienna and the Toyota Avalon. In its seventh generation, the Camry has new features in the exterior and interior design, and systems that improve its general operation. The new Camry in 2012 offers improvements in most of its aspects as well as important aesthetic modifications that define it as a new generation model. It is equipped with several electronic systems that enhance safety in its movement and comfort for passengers. Toyota Camry 2012. This is how the Camry 2012 really looks when you are going to buy it at the dealership. The 2012 Toyota Camry engine is a 3.5 V6 24-valve and dual overhead cam equipped with the variable valve timing VVT-i dual system. It's associated with a 6-speed automatic transmission. The 2.4-liter four-cylinder remains in its line (although the V6 is more recommended). The hybrid version comes with a petrol engine four-cylinder 2.4-liter and 140 hp associated with a 40 hp electric motor. The hybrid version comes with a gasoline engine four cylinders in line 2.4-liter and 140-hp associated with a 40 hp electric engine. The upholstery of the XLE version is leather and you can handle and adjust the front seats electrically. In the cabin you will experience a luxurious space from the moment you open the door that has one touch opening and closing. The rear seats are spacious and can accommodate up to three adults. Seats fold down for easy transportation of some objects by extending the space from the trunk. Interior. 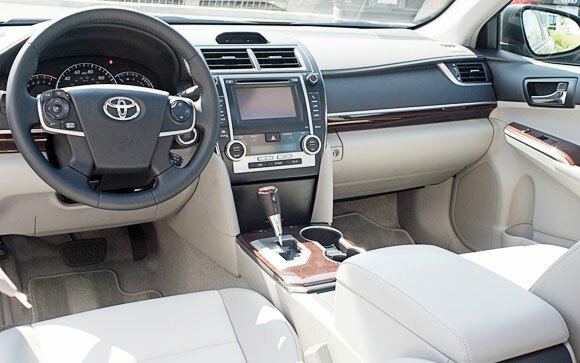 Although the 2012 Toyota Camry presents similar dimensions to the previous model, this one offers a cozier interior, with bigger space and better equipped. The large dashboard combines plastic materials of smooth textured, with inserts of aluminum and wood. It also has been included a 6.1" touch screen in the instrument panel. It can display the reverse camera, GPS maps and audio system controls. Another feature is that it has panoramic roof or sunroof. On the outside is where changes are most noticeable in relation to the previous generation. It has a new front, headlamps have new design and its angles are more pronounced. The inverted trapezium-shaped grill holds the Toyota emblem. The design of the lateral side is simple, smooth and lacks of moldings. The stylishness of the Camry harmonizes from the front to the back, taking care of its initial design structure. In the rear, the lights are on the dashboard and come together in the door trunk through a molding which also holds the Toyota emblem. Front and grill. The Toyota Camry comes equipped with everything you need to convert your hours of travel in a moment of comfort, pleasure and entertainment. Some of the systems for prevention and protection are: ABS brakes with EBD (Electronic brake force distribution), brake assist and reinforcements in the chassis for shock absorption. It is equipped with a safety system that guarantees the reduction of accidents, and in case that occur a mishap, the protection of its passengers. Its ride is very comfortable. Its V6 engine responds sharply and combined with the transmission ECT-I gets moving smoothly. 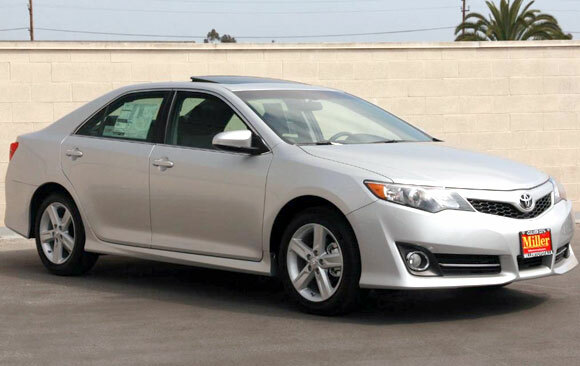 The independent suspension and the right size of the tires make the driving experience of the 2012 Camry very dynamic. The Nissan Maxima, Honda Accord, Chevrolet Malibu, Hyundai Sonata and Ford Fusion are their fiercest opponents in a very competitive segment. In January 2010, Toyota had to do a recall of 2.3 million cars in the U.S. almost at the same time that the NHTSA notified that they could not sell more of these cars in the U.S. due to the spontaneous acceleration that presented different models, defect that could be the cause of more than 12 deaths of its U.S. customers. Among those cars was the Camry, but despite all the scandal, the faithful followers of Toyota turned the page and continued to buy it without leaving its place of number one in sales in the United States. 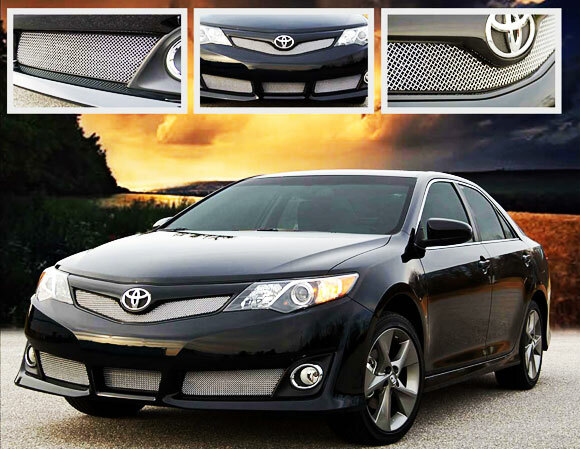 For many people and Toyota Camry owner it is still one of the best options on the market. In conclusion, it is hard to lose with a Toyota Camry. The Toyota Camry 2012 prices are around from $21,955 to $29,845 depending on model and its level of equipment. Its fuel economy figures are: 25 MPG City / 35 MPG Highways. 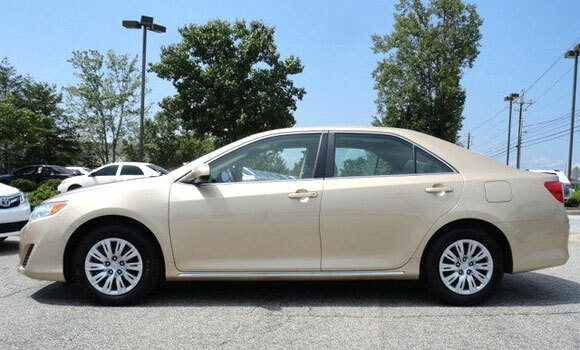 Cheapest 2012 Toyota Camry for sale: $17,895. This is the most affordable Camry 2012 you can find for sale at the moment of writing this article. 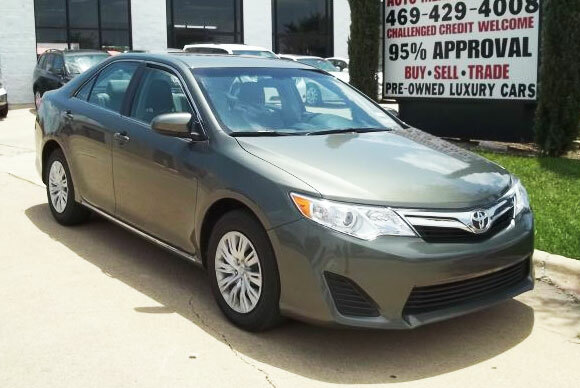 This Camry LE Certified by the dealer, is practically new and has only 1,691 miles on it and is for sale in Grapevine Texas by Texas Toyota car dealer. If you are interested in buying it, give them a call at 888-614-5182. 2012 Toyota Camry for sale: $18,202. 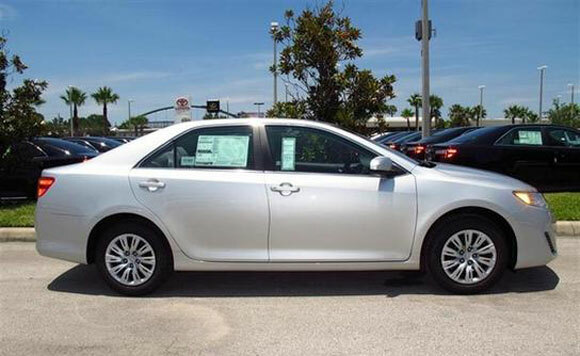 This silver Camry 2012 is completely NEW. It only has 3 miles on it. It is for sale in Winter Park, Florida by Courtesy Toyota car dealer. If you are interested in buying or ask more information about it, give them a call at 1-877-921-3126. 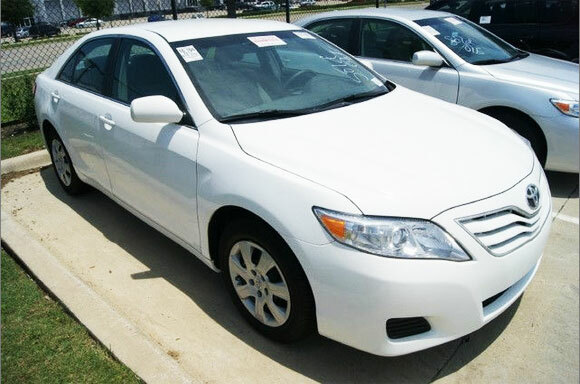 3rd Cheapest Camry LE 2012 for sale: $18,490. This gold one comes with 11,889 miles on it and is for sale in Roswell, Georgia by Nalley Toyota of Roswell car dealer. If you are interested in buying or ask more information about it, give them a call at 888-787-0559. 2012 Camry LE for sale: $18,800. This brown one has 6,504 miles on it and is for sale in Plano, Texas by Auto Merchants Inc. car dealer. If you are interested in buying or ask more information about it, give them a call at 888-776-8604. Well, as you see you can buy today a new 2012 model of one of the best cars in the automotive history for less than $18,000. My brother in law has a '97 Toyota Camry CE with 298,000 miles and still running like god! He says he only change oil every 2-3 month and that's it. Toyota cars quality is unquestionable.